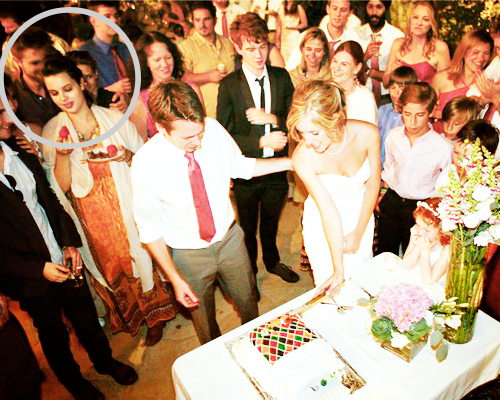 *NEW PICS* of Rob and Kristen at a wedding :))). Ahhh :') The way rob is holding kristen <333. Wallpaper and background images in the Robert Pattinson & Kristen Stewart club tagged: kristen stewart robert pattinson 2011. This Robert Pattinson & Kristen Stewart photo might contain 명예의 신부 들러리, 하녀, 신부 들러리, 하녀의 하녀, and 들러리. OMG,his hands around her did u see that ?? u have any ideas whoes wedding is that ?? rob's friend maybe or kristen's ?? ?